Team Four Continents stands on the top of Mount Vinson on a beautiful day with amazing views! Hello, this is Garrett Madison calling in for the Alpine Ascents Mount Vinson Expedition with Team Four Continents. That’s Hugo from the Netherlands, Ron from Australia, and Mirza and Samina from Pakistan. 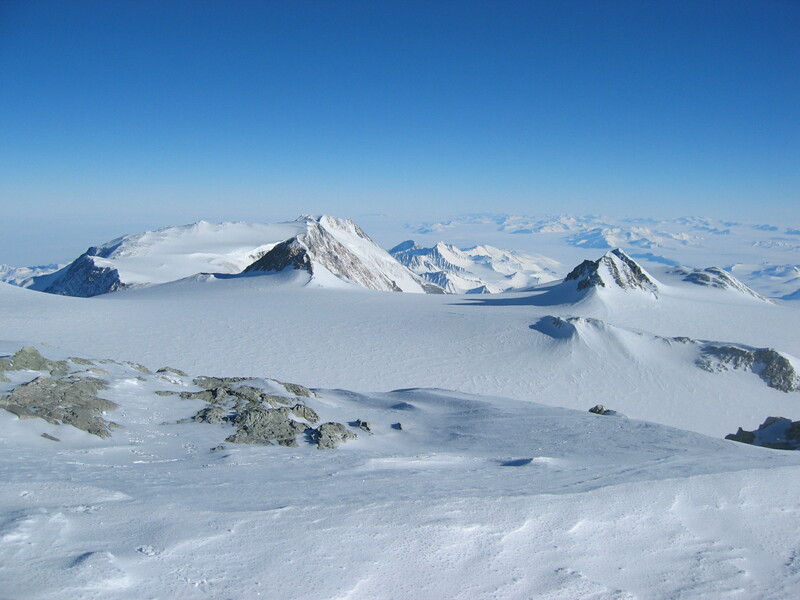 Today we are on the summit of Mount Vinson. It’s a beautiful day, no wind. We’re all alone up here enjoying the views. And we’re looking forward to heading down soon, back to our High Camp. Everyone’s doing well. We had a great time climbing up to the summit and we’re looking forward to a safe descent. We’ll check in soon. El Teamo back in Mendoza celebrating their successful Aconcagua adventure!